YouTube adds high frame rate video to its mobile apps for Android and iOS, likely in anticipation of YouTube Gaming. Google is getting serious about high frame rate video. First the feature came to standard YouTube uploads in October, experimental 4K streams followed in March, and high frame rate livestreams appeared in May. Now, the YouTube apps on Android and iOS can stream in 60 frames-per-second HD quality. 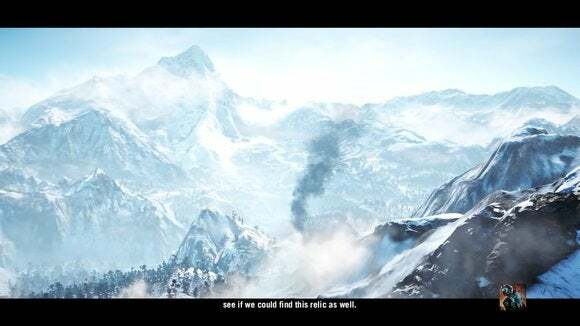 To test the capability, open this Far Cry 4 walkthrough on your mobile device. Then while the video is playing, tap the screen to reveal the three-dot vertical menu icon on the upper right hand side of the screen. Tap it and then select Quality from the overlay that appears. 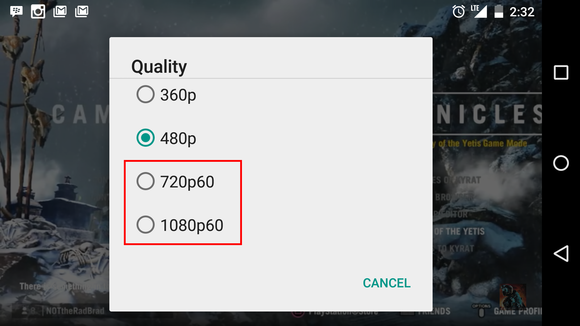 YouTube for Android and iOS let you choose 60fps quality if the video supports it. A window will now pop-up with the various resolutions available to you including 720 and/or 1080 60fps. Keep in mind these resolutions will only appear if your mobile device is capable of playing them. As usual, the new feature won’t work with all videos—only those that were uploaded at the high-quality frame rate. For the most part, that means gaming videos such as walkthroughs where the higher frame rates make the most noticeable difference in quality. Why this matters: Watching high frame rate video on your smartphone or tablet is a nice feature for anyone who likes to watch pre-recorded gaming videos. But this is likely just a stepping stone to something much bigger. Later this summer, Google’s Twitch competitor, YouTube Gaming, will debut with live game streaming. The mobile YouTube video may not be capable of playing live streams at 60fps—as far as we know—but that is likely on the way, especially since the mobile apps for Twitch offer a variety of streaming quality options that vary from channel to channel such as low, medium, high, and source.